Re-imprint yourself with true nourishment, love and safety as your first experience of life. •Fearlessly birth a new project, a new baby and a new You! This interactive workshop is designed to clear pathways for our creative flow through a mix of movement, breathing, guided imagery, theatrical play of the soul, nurturing, melting down of frozen patterns and heartwarming group sharing. 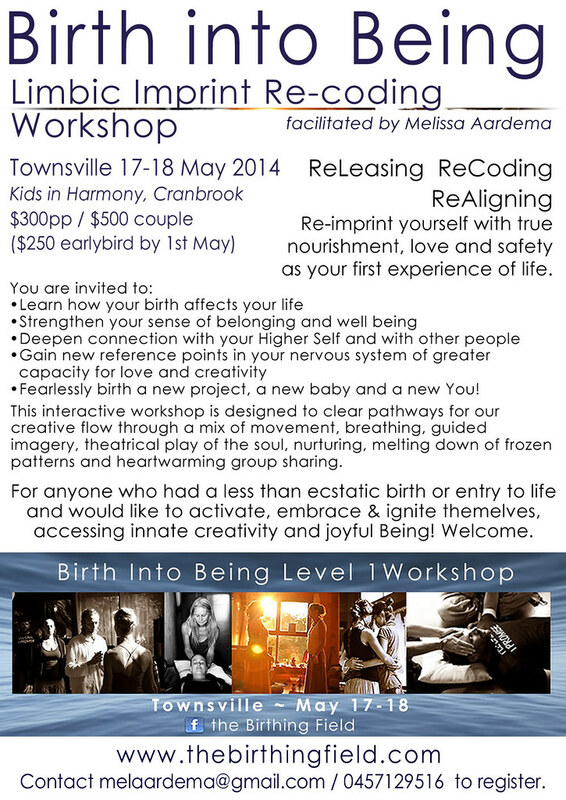 For anyone who had a less than ecstatic birth or entry to life and would like to activate, embrace & ignite themelves, accessing innate creativity and joyful Being! Welcome. Contact melaardema@gmail.com / 0457129516 to register.